RENA VANKIRK grew up in Hartford, Ohio, a small farming town outside of Youngstown. She took ballroom dancing and sold franchises for Fred Astaire Dance Studios for 14 years until she made the decision to move to Santa Barbara with her daughter Naomi in 2006. After several years working with Montecito Bank & Trust, she took a position at the Carpinteria Branch and immersed herself in volunteerism. 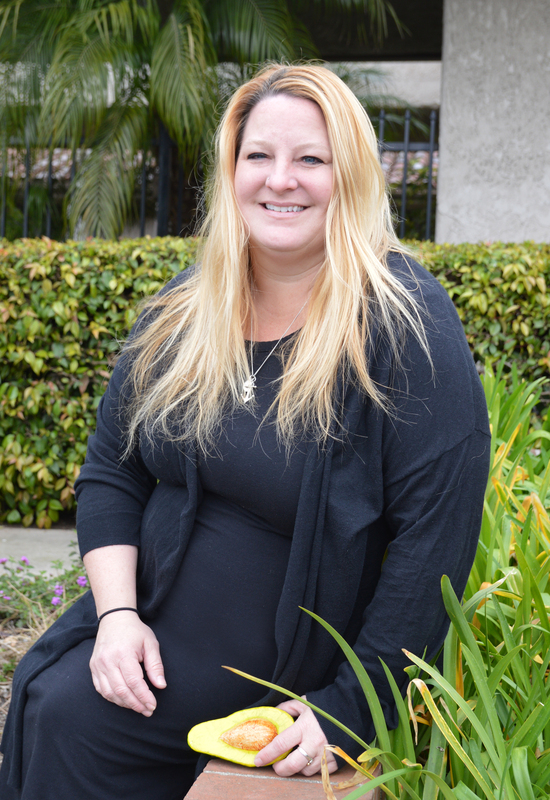 Rena has spent many hours over the years volunteering with local organizations including Girls Inc. of Carpinteria, Carpinteria Boys and Girls Club, HELP of Carpinteria, Carpinteria Beautiful, and the California Avocado Festival. 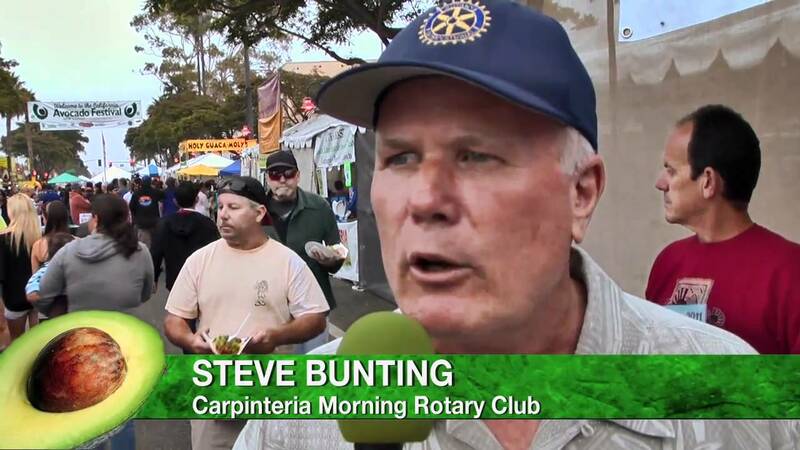 Rena is also active in the Rotary Club of Carpinteria Morning and will be the 2018-2019 Club President. She also enjoys volunteering at the Alcazar Theatre and planning private events. While Rena had always volunteered in the beer booths at Avofest, in 2015 she was asked to join the Carpinteria’s 50th Birthday Celebration Committee and, as the party was collaborated with the Avocado Festival, she was able to get behind the scenes and see what Avofest is all about. In 2016, Rena was hired as the Festival’s Administrative Director. From left: Gregg Carty, Anthony Staal, Emily Miles, Mike Lazaro, Gary Dobbins and Richard Tinstrom. Not pictured is Eydie Kaufman. GARY DOBBINS, Board President, joined the Avocado Festival as a volunteer in 1989 and has served on the festival’s executive board since 2001 (President 2008, 2016). Gary was born in Illinois and raised in Kentucky and Indiana. After graduating from high school in Indianapolis in 1969, Gary joined the Army and served as an E-5 until 1972. He was stationed in Germany and Vietnam and was awarded numerous commendations, including two bronze stars, for his service. Gary also owned a record label and publishing company. Gary moved to Carpinteria in 1989. In 1994, Gary co-founded the Coastal View News, a weekly newspaper. In addition to publishing the newspaper, he co-founded Carpinteria Magazine in 2001. Gary has been a member of Rotary since 1994, and served as president of the Rotary Club of Carpinteria in 2005-06. In 1997, Gary co-founded Rods & Roses, an annual classic car show and independence parade in Carpinteria. Gary also served on the board of directors of the Carpinteria Sanitary District from 1990 to 1995; the board of directors of the Boys & Girls Club of Carpinteria, Girls Inc. of Carpinteria, HELP, and the Host Program. From 1994 to 1998, Gary produced a weekly television show called Carp Live with Mark King. Gary’s wife Dianne passed away in 2003. They have two daughters and two grandchildren. GREGG CARTY has been an active volunteer and involved with the Festival Operations since its grass roots days in 1990. He serves on the Board of Directors and is an integral part of this “all volunteer group.” Gregg is owner/partner of Carty Brothers Construction and resides with his wife Geri Ann in Carpinteria. They have two daughters, Caitlin and Angela. He has also served as the Mayor and Vice Mayor of Carpinteria. MIKE LAZARO has been on the Board of Directors for the California Avocado Festival for 27 years, 23 of those years in the role of the Director of Operations and Director of Entertainment. He is also on the Carpinteria Plaza Theater Board of Directors. He has been an ongoing consultant to various events around the country. Mike Lazaro has specialized in total event management; He has worked in some of the world’s largest convention centers with some of the largest Company conferences and sporting events including Indy Races and Super bowls. He has also participated in ongoing event support for Santa Barbara Earth Day celebration, SB Summer Solstice, Old Spanish Days Fiesta and Citrus Classic Balloon Fest, Carpinteria Annual Triathlon, and Carpinteria’s Rods and Roses Festival. His most recent accomplishments include the participating in the organization of the 2013 Opening Day Ceremonies at the San Diego Padres Petco Park. EMILY MILES is a native Carpinterian and a third generation avocado rancher. For 25 years Miles has worked with the family business, California Tropics, growers of sub-tropic fruits and avocados. She has been involved in the California Avocado Society and the Carpinteria Valley Historical Society for many years. Emily has contributed scores of hours volunteering for the California Avocado Commission at the California Avocado Festival. Emily is a welcomed addition to the California Avocado Festival Board of Directors for her dedication to the Expo tent and educating our festival-goers. ANTHONY STAAL moved to Carpinteria in 1990 and owned and operated the local Domino’s Pizza branch for twenty-three years. He is an active member of the community as a 20-year member of Rotary and a charter member of the Carpinteria Morning Rotary Club. In 1996, he served on the Board of Directors of the Carpinteria Valley Chamber of Commerce. In addition, he has been involved with the California Avocado Festival for 20 years as a food vendor, volunteer, food venue director, and current board member of the organization. Anthony’s extensive knowledge in the food industry has greatly enhanced our successful annual non-profit festival. RICHARD H. TINKSTROM “Tinker” grew up in Oxnard and moved to Santa Barbara in the early ‘60’s where he worked for a welding company. In 1969 Tinker moved on to work at Union Oil for 18 years. Tinker served on the Summerland Sanitary Board for 8 years. He opened Tinker’s Burgers on 12/27/1987 and opened both Summerland Catering and Tink’s All American Hot Dogs 15 years ago. In addition, to having a booth at the Avocado Festival, Tinker also has had booths at the Kite Festival, Old Spanish Days and the Lemon Festival. The idea of the California Avocado Festival® began in 1986 at a meeting between community leaders Rob Godfrey, Connie Korbel, Debbie Murphy, Fran Puccinelli, Bob Ealee and John Franklin. A brainstorming meeting was called to create an ongoing weekend event that would benefit the fundraising efforts of the local non-profit groups. It seemed the plan would also help promote Carpinteria as a Southern California weekend getaway destination and boost our local economy. The largest FREE street festival in the state occurred in early Oct, 2010 in the wonderful beachside community of Carpinteria. Discover what the buzz is all about! Well, Santa Barbara County is the third largest avocado producer in North America, with Carpinteria being a major contributor. It seemed like a natural food festival in the making. Why have the Festival the first weekend in October? Oddly enough, statistics show that October is one of the sunniest months of the year with the least amount of rainfall. And there it began...the California Avocado Festival®. The festival has evolved into one of the largest in California with three days of fabulous food, terrific music, and great safe family fun. It is one of only a few community festivals still operated in the heart of downtown. As the Festival grows, so do the number of participants and festival-goers. 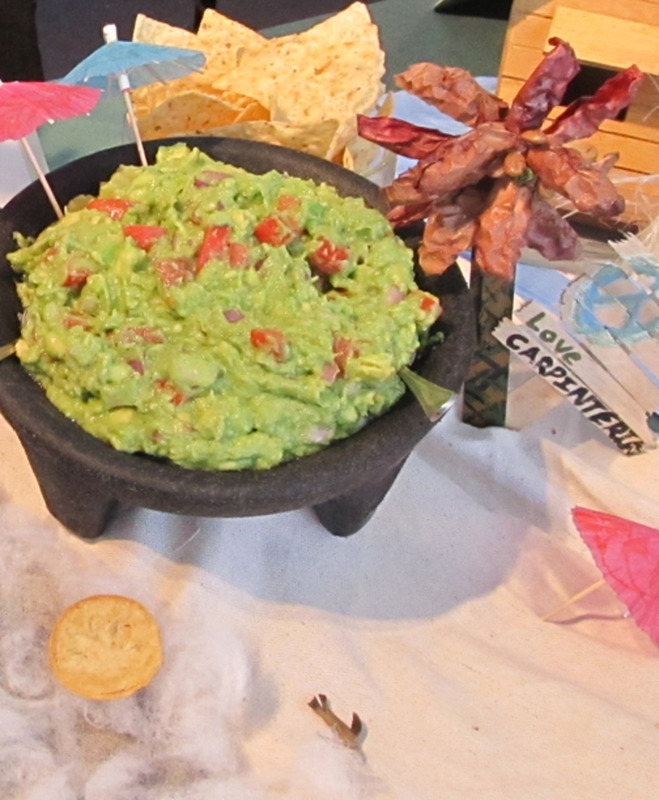 This year over forty non-profit groups will benefit by catering to 100,000 avocado visitors. The California Avocado Festival™ itself is a non-profit group that generates its own operating revenue each year. The annual event is completely organized by a committee of volunteers, and includes one part-time staff person. Thanks for joining us this year and celebrate our famous green fruit and the California Avocado Festival™. Fast forward to 1871, when Judge R.B. 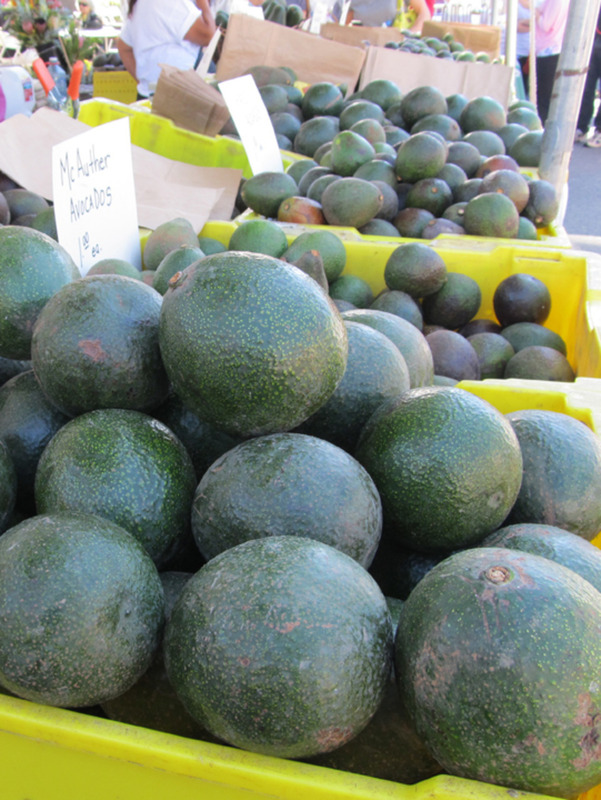 Ord of Santa Barbara successfully introduced avocados to the U.S. with trees from Mexico. By the early 1900s, growers were seeing the avocado's commercial potential and ever since growers, enthusiasts and researchers have been hunting for improved varieties. A search through the industry's foremost annals, in particular the California Avocado Society Yearbook, reveals that many new selections of avocado were made in the industry's infancy and over subsequent years but few had commercial significance. By the 1950's around 25 different varieties of avocados were being commercially packed and shipped in California, with 'Fuerte' accounting for more than two-thirds of the production. Even though 'Hass' was discovered in the early 1930's and patented by Rudolph Hass in 1935, it was not until large-scale industry expansion occurred in the late 1970s that 'Hass' replaced 'Fuerte' as the leading California variety. Today, California is the leading producer of domestic avocados and home to about 90% of the nation's crop. Most California avocados are harvested on 60,000 acres between San Luis Obispo and the Mexican border, by about 6,800 growers. San Diego County, which produces 60% of all California avocados, is the acknowledged avocado capital of the nation.